The Molasses Flood is a company of AAA refugees, with veterans of places like Irrational, Harmonix, and Bungie. We’ve contributed to massive critical and commercial successes like the BioShock Series, Rock Band, Guitar Hero, and the Halo series. Their first title is The Flame in the Flood. Kendall Square Medical Writing, Inc.
Kendall Square Medical Writing, a Geek Offices member since 2011, provides regulatory medical writing services to the pharmaceutical and biotech industries. Leonardi Aray Architects communicates clients’ values through design. At Leonardi Aray Architects we constantly seek design cues in the urban environment to produce responsibly original, inspiring and functional architectural projects. We are informed through community outreach, research and stakeholders’ values to shape great communities and create civic landmarks. Mavenomics, Inc. is a software startup with a uniquely flexible platform for building reporting and analytical applications. s::can Measuring Systems LLC provides water quality monitoring instrumentation to the drinking, environmental, and wastewater industries. Applications range from process control for cost savings and environmental footprint reduction, to watershed monitoring for environmental impact studies. The company is best known for its submersible UV-Vis spectrometers and moni::tool software package. 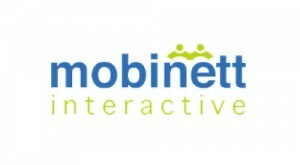 Mobinett Interactive is a strategy, design & development firm based in Cambridge, MA. With vast expertise in mobile, web and social technologies, Mobinett engages with clients to understand their vision, create a roadmap, design and bring awesome products to life! Products developed by Mobinett have launched across the world, received rave reviews in the media, and are used by fortune 100 companies and startups. InsideClimate News is a Pulitzer Prize-winning, non-profit, non-partisan news organization dedicated to covering climate change, energy and the environment. Thunder Sky Pictures is a creative marketing agency that creates high-impact video, websites, animation, presentations and printed materials that tell a compelling stories about brands, products or services.